Throughout the history of the museum, families have volunteered, sometimes for decades, to help the museum achieve its goals. Our volunteers preserve history, while having fun at the same time. You can join the museum as a member and volunteer too! We have volunteer opportunities available in many areas. Trolley Operations: You can become a volunteer trolley operator. Even if you have never operated a real electric trolley car, we’ll show you how the trolleys work. Track & Overhead: Construction and Maintenance: If you like being outside, join our volunteers to help build and maintain our track and wire. Trolley Maintenance and Restoration: A necessary part of operating trolleys is ongoing maintenance. Perhaps you would be interested in joining our volunteer maintenance staff. We are also always looking for new volunteers to help with restoring the trolleys in our collection. You can help preserve history! Skill levels of all types are needed. Museum Store: Help staff our gift shop. Buildings & Grounds, Landscaping: The buildings and facilities at our museum are all maintained by our volunteers. Come join us! Special Events: Our volunteers help in many areas. 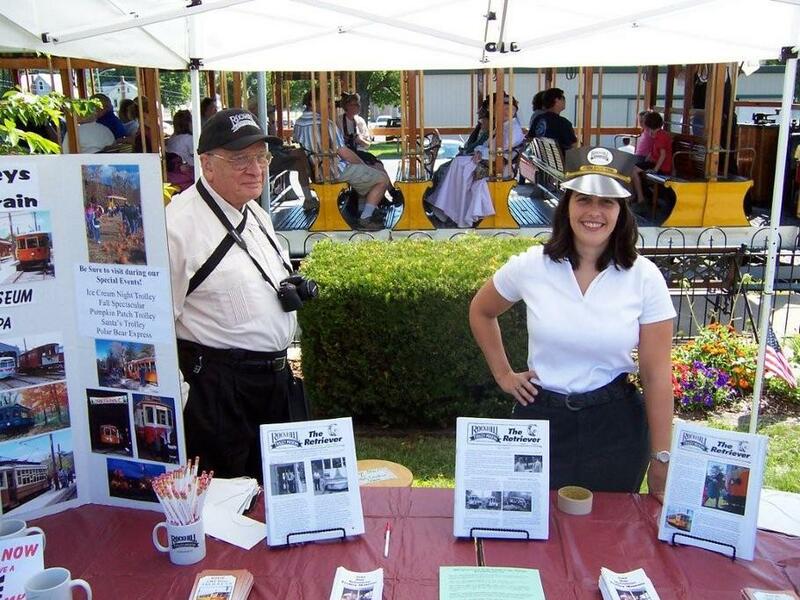 Setting up for special events, cooking, selling tickets, promoting the museum at shows or helping at special event at the museum are just a few unusual ways to volunteer. We have something to do for everyone! Administrative Business: If you have experience or interest in grant writing, fundraising, bookkeeping, record keeping, promotion or publicity, we need you! Our museum provides comfortable facilities, with a lunchroom, bathrooms, showers, heating and air conditioning, and lots of good companionship. Overnight accommodations can be arranged for volunteers traveling from out of the area. Our shop facilities are also well-equipped with woodworking and metalworking tools, and capabilities for heavy mechanical repairs and restorations. Be assured that we are not obsessed with work! Work is done at a pace comfortable to everyone involved and is almost always punctuated by frequent “hot-air breaks”. If you would like to volunteer, please contact us. Please Note: Although we have an excellent safety record, our insurance provider requires our volunteers to be Rockhill Trolley Museum members and be covered by accident insurance. Minors are required to have parental approval and supervision while volunteering.